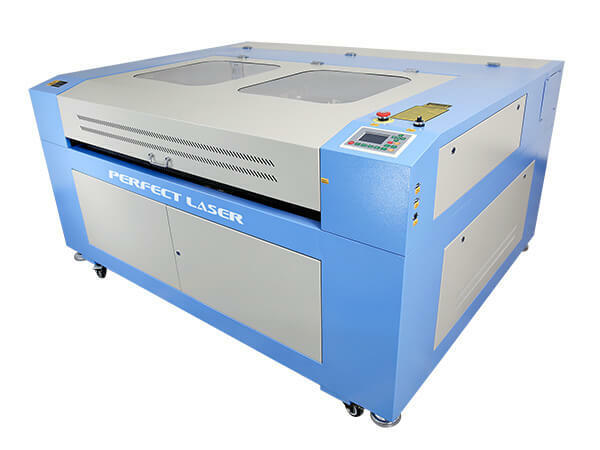 Perfect Laser is a world leading manufacturers of double heads CO2 laser engraver and cutter machine. This best laser engraving machine PEDK-140100II is the most hot-selling model accepted by our customers. The working area of this laser carver is 1400*1000mm, compact nesting, conveniently storage materials. 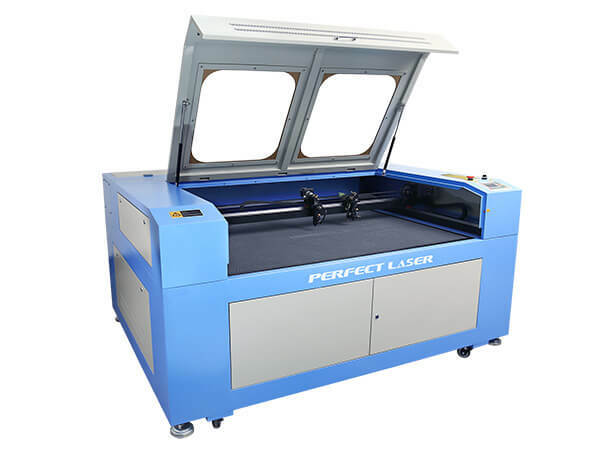 And our CO2 laser engraver and cutter machine is suitable for Leather / Wood / Paper / Glass / Acrylic materials, and it can cut or engrave in one time to improve working efficiency. This best laser cutting machine is also widely used in cutting and engraving Fabric, Cloth, Rubber Plate, PVC Board and other kinds of nonmetal materials with complex shapes. 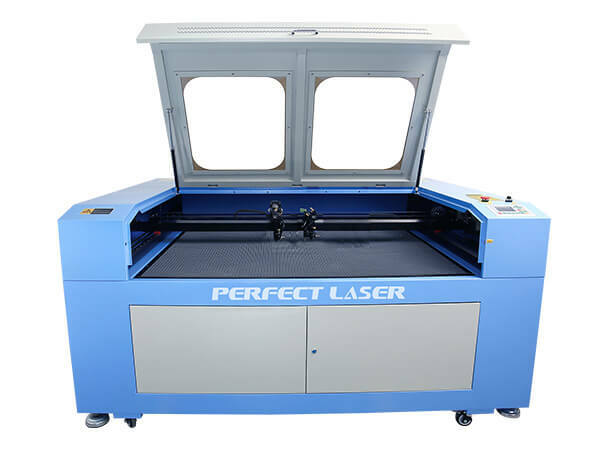 This CO2 laser engraver and cutter machine is widely used in cutting and engraving acrylic, wood, fabric, cloth, leather, rubber plate, PVC board, paper and other kinds of non-metal materials with complex shapes. 1. Double Laser Cutting Heads:Two cutting heads of this best laser cutting machine make cutting or engraving speed much faster, improve working efficiency. 2. Laser Tube:Two independent laser tubes of this laser carver also allow for redundancy against failure. 1) Strip table for heavy and thick materials, such as wood, MDF, acylic , etc. 2) Honeycomb table for soft and thin metarials, such as fabric, etc. 3) Design for your different materials engraving and cutting requirements. 4. The body of the laser engraver and cutter is very hard and stable. 5. Front to back passing-through design (50mm height).Open for larger pieces to put into the best laser engraving machine. 6. Advanced LCD screen control + USB offline +128M Big Store Memory: The laser engraver and cutter adopts advanced LCD screen control, you can import any file by U disk, and set parameter in the LCD screen easily. 7. Owns 128M Big Memory can store files in the best laser cutting machine such as AutoCAD, CorelDraw, Photoshop etc. 8. Observation Window: this laser carver is made of thicken visible acrylic material, high safety protection with cover.The working will be stopped immediately when operator open this cover, so it ensure the safety of operator and won't be hurt by laser working. 9. Red Light Pointer: As laser light is invisible, red light pointer can realize the exact position of laser beam. 10. Power Switches: this best laser cutting machine provided with “Over-current protection” function, make the usage more safe. 11. Pull Rod: this best laser cutting machine uses stainless steel material with rust proof.